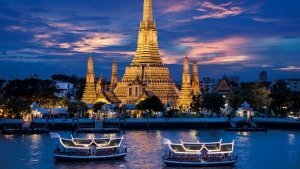 BANGKOK – certainly lives up to its reputation as a travel hot spot in Southeast Asia. The ‘City of Angels’ has funky markets, upmarket malls, a riverside full of surprises, a vibrant nightlife scene, many fabulous sights and attractions that reflect its unique heritage. Say goodbye to traffic jams – thanks to the city’s modern skytrain and underground systems that cover a large area. Or explore the riverside area by a long-tail speedboat or river taxi. Welcome to the exciting opportunities in Bangkok.